This lecture is dedicated towards the apprehension of the Ankle Joint. 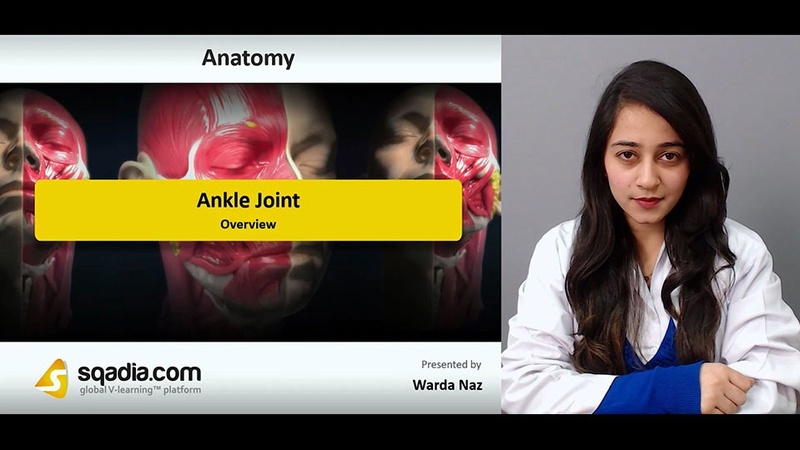 Section one puts forth an Overview about the ankle joint. 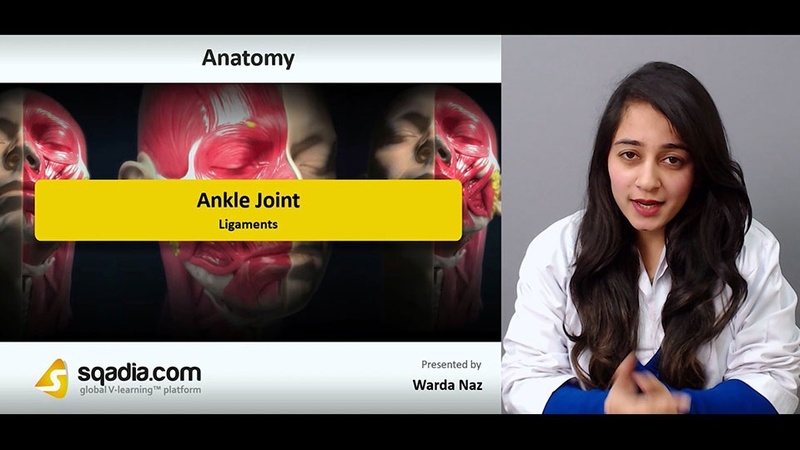 In the beginning, the educator has asked a question Do you know where ankle is? to grab the attention of the viewers. Then the educator progressed to talk about the Location and the definition of ankle under a separate head entitled What is Ankle? Next in line, Anatomy along with its Bony Architecture has been conversed about profoundly. The section concluded when the educator discussed about the Type of Joint and the Motion at Joint. Section two aims at elucidating the Subtalar Joint. The educator started off by expounding the Location of this joint. Succeeding this, Talus Bone in conjunction with the three Subdivisions of Talus Bone have been brought into consideration. Furthermore, Parts of Talus Bone, Body of Talus Bone and Body of Talus has been delineated. In the end, the educator summed up by referring to the Stability at the Joint in addition to What happens During Normal Walking? The focal point of section three is to enlighten about the very significant structures essential for movement-the Ligaments. 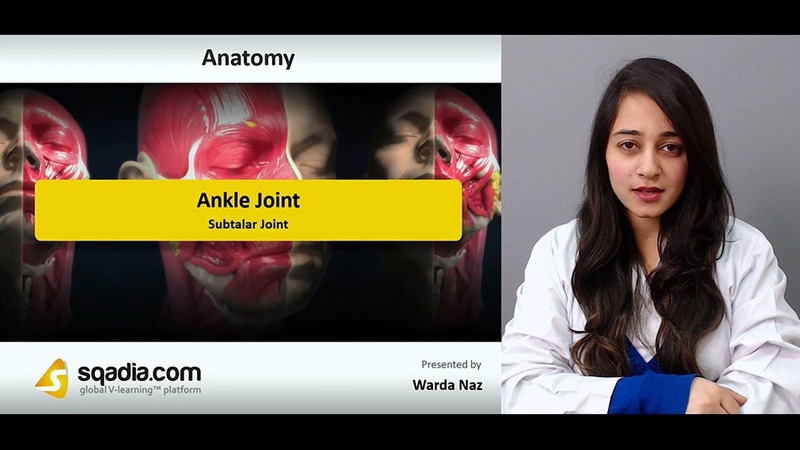 Firstly, the educator has shed light on the Ligaments of Ankle Joint. Subsequently, Major Ligaments including Anterior Tibiofibular Ligament, Lateral Collateral Ligaments and Deltoid Ligaments have been explicated. Amongst these, the educator has initially spoken about the Anterior Tibiofibular Ligament followed by a debate on Deltoid Ligament. Moreover, Composition of deltoid ligaments together with their Function has been deliberated about. In the end, the curtains have been brought down when the educator laid stress on the other type of ligament termed as the Lateral Collateral Ligament. Section four accommodates Movements. Initially, the educator has brought Movements at Ankle Joint into dialogue. Then the educator moved on to communicate about Axis and the Transverse Axis, comprehensively. Besides this, Facilitation of Dorsiflexion has been stated. In the end, the educator wrapped up by accenting about Eversion and Inversion. The point of emphasis of section five is the Pathology. First and foremost, the educator has clarified about Anastomoses Around the Ankle followed by a conversation on Anastomosis. Additionally, Nerve Supply and its Pathology/Injury has been recounted as well. Furthermore, the educator has drawn attention towards the Ankle Arthrodesis (Joint Fusion), Ankle Impingement and Ankle Osteoarthritis. Conclusively, Ankle Sprain and Ankle and Foot Arthropathies have been described broadly.